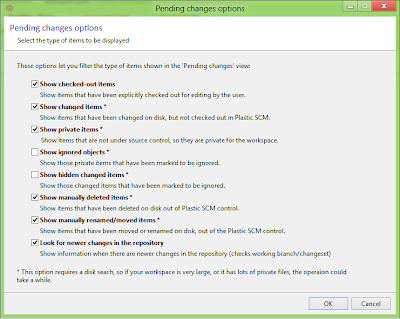 Plastic SCM blog: Plastic SCM release 4.1.10.339 is out!! 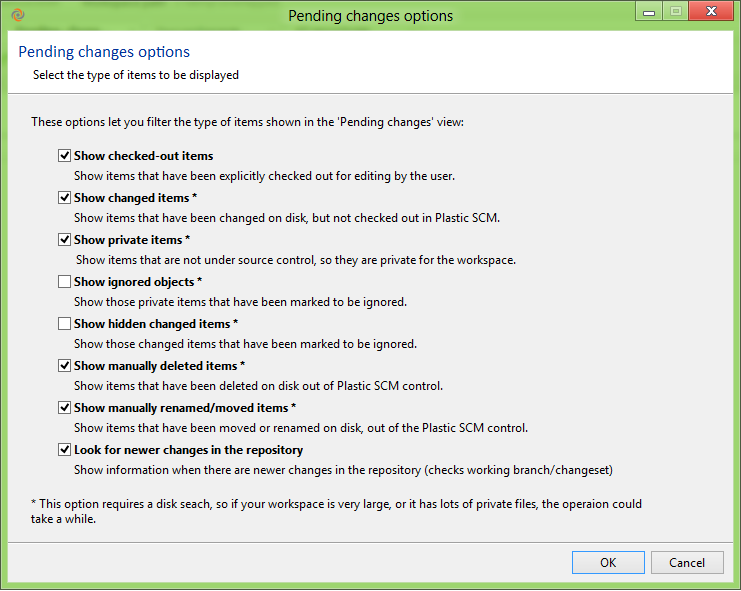 Plastic SCM release 4.1.10.339 is out!! This week we have a new release: this time we're annoncing 4.1.10.339 (Build 339 as we name it internally). It is a new release of the 4.1 version, including new features!! and a number of bug fixes. Remember you can find the latest installer here. 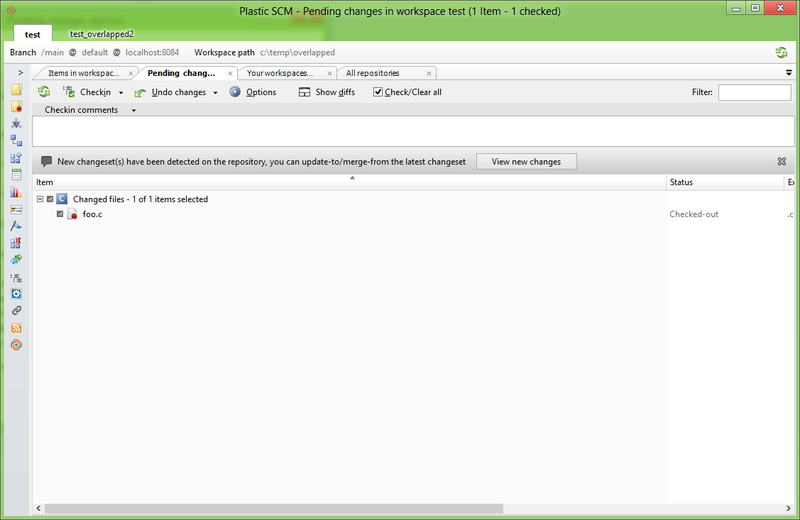 Implemented a mechanism to dectect new changes on the repository from the Pending Changes View. This mechanism is useful in a single branch working pattern. When multiple developers are working on the same branch, it is usual to get your workspace out-of-date because other developer checked-in some changes that could overlap your changes. 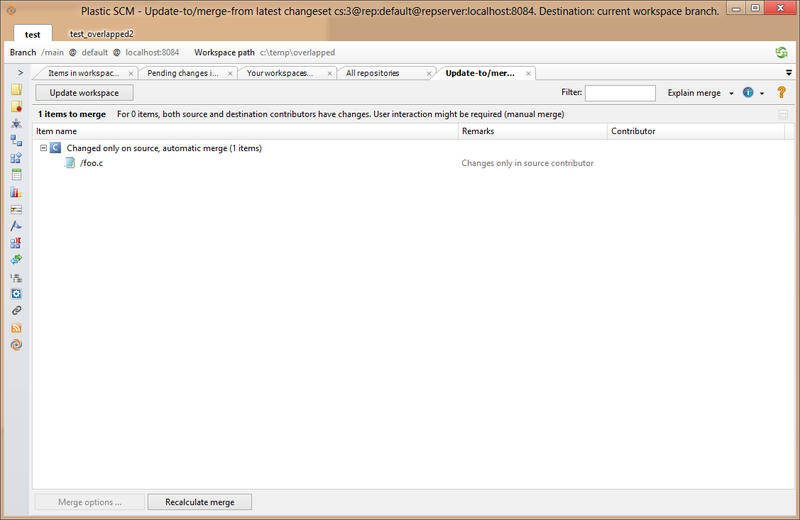 You can activate an option called "Look for newer changes in the repository" to use this feature. 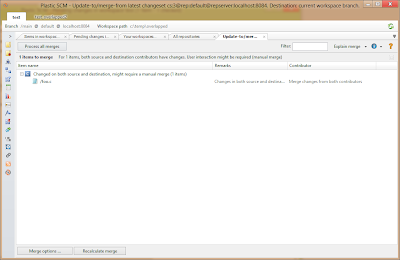 When selected, the Pending Changes view calculates if there are newer changesets in your working branch; in this case,it shows an informative panel. 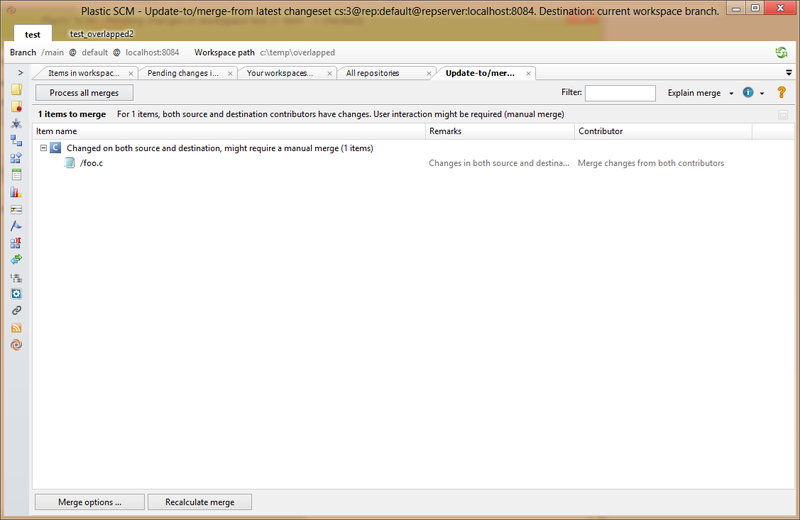 This panel will show you the new changes in a merge panel, and you can update your workspace to the lastest changeset of your branch. 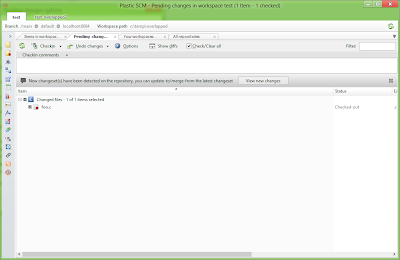 The comand switchtobranch or stb, allows users to work in a branch. it sets the specified branch as the working branch. By default, the option --noparallel is used. 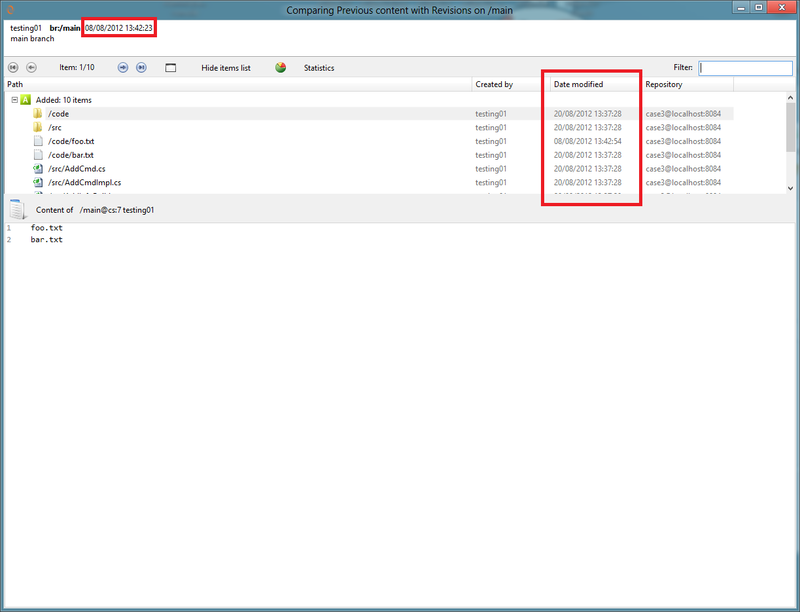 The date of the change (timestamp) is shown in the details, along with the timestamp for the reviewed object. Now it is possible to copy the file name. 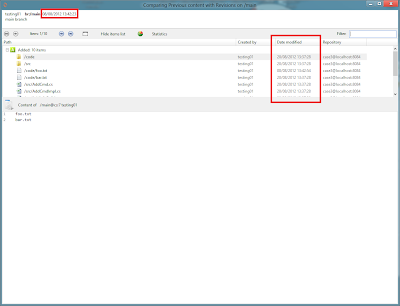 Added a context menu with the option "Copy" in the file list. The selected file color is more noticeable (it was not visible in some screens, due to brightness and contrast configurations). Preserved the syntax highlight preference when switching between files. An issue related to having a moved deleted conflict has been fixed when the move source and destination has been deleted. Some conflict raised by the "path in use" protection has been avoided. The conflict dependencies detection has been improved. Fixed!! When a shelve with an added structure was applied and committed, then the children were not properly stored under some special circumstances. Fixed. Fixed an aesthetic issue in the main form that was noticeable when showing the GUI at 120 dpi. In addition to this, the left panel that lists the Plastic views now preserves the size when you close and reopen the GUI. Fixed a problem with the Extended information panel and the Advanced view in the Branches view. Fixed an unhandled exception when cancelling a replication operation that failed from this view. The form was disposed when the user updated the GUI. Fixed it! 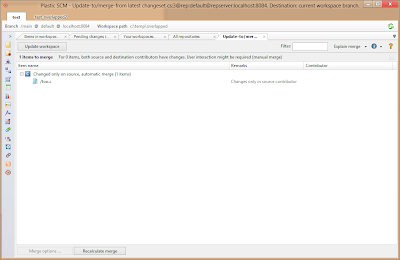 Xlinks: Some issues related with an xlink that reuse an old controlled path have been fixed. The issues related with reuse an item path for an Xlink, and vice versa, have been reviewed and fixed (update, merge, unco). Fixed! !